We like to say it is the first Club BungalowsClub.com exclusive unassociated. That is, to be part of this club is not necessary to enter any list or pay any fees, you only need to share a love of outdoor tourism and an adventurous spirit but without compromising on quality and welcoming spaces that offer alternative Tourist accommodation in bungalows. 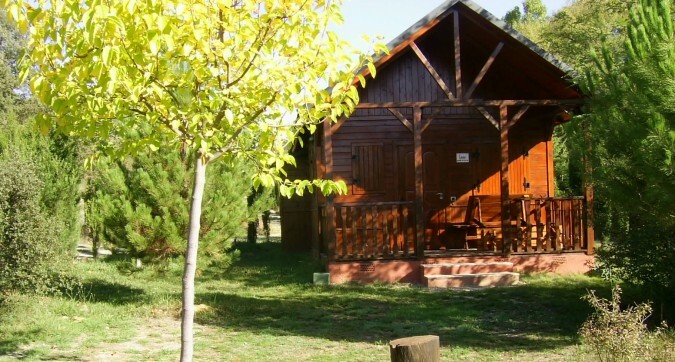 There are thousands of bungalows in Spain, located in exceptional natural surroundings, where an experience open and lungs, where they discover unknown aspects of the local flora and fauna, where you can try unusual sports, visiting museums full of oddities, and follow routes present in very few guides. We toured Spain for you and want to share what we have discovered in this website is born to tell you where and how to live a different journey: free, truthful and full of treasures. Offering BungalowsClub is present throughout the national territory, in enclaves extraordinary natural beauty. The bungalows usually have capacity for up to six people, are fully equipped and many of them are located in rooms with facilities, activities and common services, such as swimming pools, mini club, playground or animation, a key factor to consider when traveling with children. So, on the one hand, has the natural slope of authenticity, and on the other hand, with the benefits of a secure enclosure. It’s also a different and fun option for group travel and spend a weekend in nature with all the amenities, organizing barbecues or doing outdoor activities. And it is of great interest to those wishing to bring their pets, as many of these accommodations allowed that option. But our search never stops, and we intend to continue to explore inside and outside Spain, to surprise, to be sure to have a bungalow in ever new and different place to make a getaway. So if you want to be informed of our latest additions, the most evocative and plans for the best offer, enter your mail and is part of the club, will be happy to share with you all the news and that you share with us your experience. Authentic travel companions, welcome to BungalowsClub.